What a contrast between the band name and the music. Nowhere it is written that haters cannot be subtle. It's just not a word that I associate with the other. At the very first note I am reminded of Amber Arcades, the Dutch band/singer, also able of writing these pleasant sounding poprock songs with a little edge here and there. Hater is from Sweden and brings a sort of melancholy warmth to the Arctic country now that winter is coming upon us. The smallest of fires to warm ones hands at is maintained, but kept in check. No orgies of dried firewood and lots of paper here. Hater keeps its emotion in check all the time. Singer Caroline Landahl's voice is delicate, almost fragile. Always searching for the place where her voice is at the point of breaking, like in the title song 'Red Blinders' or singing more undercooled, where she is in total control of everything. This EP follows the debut of Hater, released earlier this year, called 'You Tried', which I have missed. Comparisons range from Alvvays and The Smiths to Jefferson Airplane. That is some timeline by my book and two big names to step into the shoes of. There's a little on Red Blinders reminding me directly of The Smiths. Especially in the guitar work. The lightness of the sound and the way the instrument is strummed points to an influence of Johnny Marr on the band. In general it can be put that there's an 80s feel to the music of Hater. The electronic beat in 'Red Blinders' sounds as old as the road to Rome, yet conjures up the right effect for the soft voiced song, with its delicate guitar playing. One of my two favourites on Red Blinders. The other one is the, unexpected, party song ' Penthouse'. The tempo goes up, the bass becomes prominent in carrying the song, while Landahls singing moves towards Mette Lindberg's, without going so far out. The song is not so much happy. 'Penthouse' recreates the atmosphere of so many 80s danceable songs that had nothing to do with happiness, yet allowed for an escape by dancing all the angst and weltschmertz away, almost despite themselves. Hater does just this, but I'm afraid all the "bats", the Robert Smith look-a-likes, have gone home 30 years ago today. That's when they mysteriously disappeared from dance venues. Let me enjoy it anyway, as this is a great song. 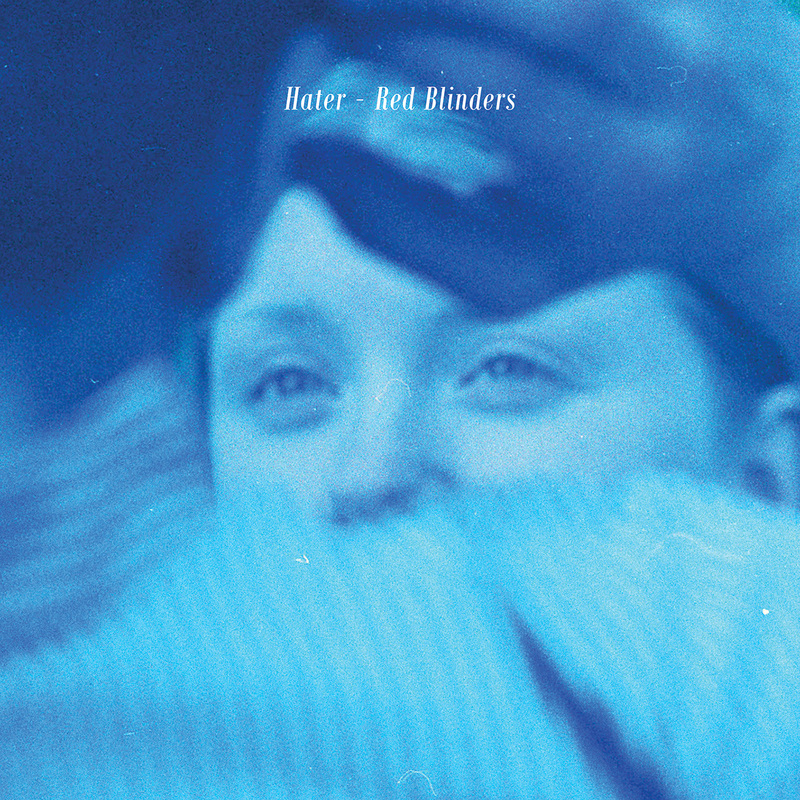 Red Blinders is a fine EP and I'll state for the record that it is not more than that, but one that made me curious enough to reach back and listen to the album. So perhaps more Hater on this blog in the coming months? Mackenzie Scott maakte als TORRES al twee uitstekende platen, waarvan met name het in 2015 verschenen Sprinter flink wat aandacht trok en hier en daar zelfs opdook in een eindejaarslijstje. Op haar tweede plaat werkte de uit Macon, Georgia, afkomstige maar tegenwoordig vanuit Brooklyn opererende singer-songwriter samen met Portishead’s Adrian Utley en de vooral van PJ Harvey bekende producer Rob Ellis. Rob Ellis is ook weer van de partij op de nieuwe plaat van TORRES en het is een plaat die wat mij betreft nog een stuk beter is dan de al zo overtuigende voorganger. Three Futures is een plaat die zeker niet altijd de makkelijkste weg kiest en soms zelfs een bijna vervreemdend effect heeft, maar het is ook een opvallend broeierige en intense plaat die uiteindelijk diep onder de huid kan kruipen. Het is een plaat die je steeds op het verkeerde been zet, maar het is ook een plaat van grote schoonheid. De instrumentatie op Three Futures bestaat in de meeste songs uit een donkere of zelfs dreigende onderlaag en het is een onderlaag die een perfecte voedingsbodem biedt voor bijzonder fraaie accenten. Deze accenten komen met name van betoverend mooie gitaarlijnen en uithalen, veelkleurige synths en speelse of tegendraadse ritmes, maar ook de rest van het klankentapijt is prachtig. Het past uitstekend bij de bijzondere stem van Mackenzie Scott, die zich op fascinerende wijze door het avontuurlijke muzikale landschap op haar nieuwe plaat beweegt en de songs op haar plaat voorziet van emotie en urgentie. Three Futures roept, net als zijn twee voorgangers, zo nu en dan associaties op met het werk van PJ Harvey, maar het geluid van de Amerikaanse muzikante is op haar derde plaat ook absoluut uniek te noemen. Three Futures is een opvallend dynamische plaat. Lome synths en dromerige vocalen kunnen zachtjes verleiden, maar TORRES kan niet veel later ook van zich afbijten met venijnige gitaaruithalen en al even venijnige zang. Wat Three Futures nog fascinerender maakt is het vermogen van TORRES om zich buiten de vaste kaders van genres en tijd te bewegen. De Amerikaanse singer-songwriter schiet op haar derde plaat door een aantal decennia popmuziek en citeert uit uiteenlopende genres, waardoor haar songs allemaal anders klinken en er ook binnen de songs volop variatie is te horen. 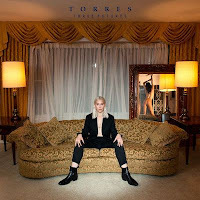 TORRES kan aansluiten bij tijdgenoten als Sharon van Etten, Courtney Barnett, Cat Power en de al eerder genoemde PJ Harvey, maar kan ook zomaar terugkeren naar de wederopstanding van King Crimson met gitaaruithalen die doen denken aan die van Robert Fripp en Adrian Belew of juist flirten met eigentijdse elektronische popmuziek of met de bezwerende klanken van Siouxsie & The Banshees (die toch een stuk invloedrijker zijn dan ik destijds door had). Op Three Futures gebeurt zoveel dat het je bij eerste beluistering regelmatig duizelt, maar hoe vaker je de plaat hoort, hoe meer er op zijn plek valt. De bijzondere ritmes, fascinerende en wonderschone gitaarlijnen, bezwerende klanken en intense zang, die bij eerste beluistering nog allemaal een andere kant op lijken te gaan, vloeien steeds mooier samen en tillen de ene na de andere song op de plaat naar grote hoogten. TORRES maakt misschien geen muziek die heel makkelijk verleidt, maar als de Amerikaanse muzikante je eenmaal te pakken heeft laat ze niet meer los en houdt Three Futures je in een wurggreep waar je niet meer aan wilt ontsnappen. Deze wurggreep is overigens het stevigst wanneer je de plaat met volledige aandacht en bij voorkeur met de koptelefoon beluistert en je volledig op kunt gaan in het bijzondere muzikale universum van TORRES. Of ze er wereldberoemd mee gaat worden durf ik te betwijfelen, maar voor liefhebbers van eigenzinnige vrouwelijke singer-songwriters is het smullen van de eerste tot en met de laatste noot. Slowly the end of the month is neigh, so it's time to take up the challenge again: Kairos. Several weeks after .No's show is broadcasted on Concertzender Wo. clicks on the link and emerges in the nether world of music. A world full of atmosphere, (modern) classical music, church music, new age and what not. Almost anything, but hardly a guitar in earshot. The instrument Wo. loves a lot. If there is anything like a request song on Kairos, it is this month. Guitars galore, you will notice him writing, but we'll get to that. First, Wo. has to wade through other music and who knows?, perhaps he's surprised. The familiar sound of the introduction comes by and is followed by ... a guitar? Yes, two even, slowly interplaying with a dark piano and sounds. Kate Glavey returns to Kairos with a moody piece that is accentuated by the dark piano note, keeping the time. The guitars sound soft, two sounding full and round, with a third playing thin notes. A harmonium or something like it plays high notes. Three minutes into the song the tension rises, but nothing much happens. Everything collapses to let a drum enter. Brushed skins, a thrash, beautifully recorded. There's a faint hint of a folk song in the instrumental track, that I find to like a lot. A cello adds darkness and then a surprise: Kate Glavey sings, albeit with a treated song, like she's singing from the great beyond. 'Cistern' is an album we've heard before. .No's ear is uncannily accurate again. The violins could actually be a continuation of 'Eoin'. Burrows'. Yes, there is a gap between the songs, but that gap is part of Jherek Bischoff's composition. The theme just keeps coming back and back. 'The Sea's Son is playing for over two minutes before a piano enters the repeated motif. The piano is the sign for the orchestra to start flashing out. It plays louder and instruments are added. I will never play 'The Sea's Son' again, but this is so intriguing. The reticence of the pianist who could play on in the silences but never does. The ever so sleight variations in the motif. Six minutes is long though. .No is playing with my mind again. The opening notes of each Kairos come by again, mixing with what turns out to be 'Isothere' by Matthew Bourne. The secret of the intro is still not revealed, d***. Slow piano notes come by. The music resonates slowly through the open spaces. Notes are played sometimes answered ever so softly by a single dark one. Bourne needs ever so little to make a huge effect. A note bordering on dissonant gives me a fright. Some strings enter, modesty itself. Boldness lies in a single note in 'Isothere'. 'The Sea's Son' returns for one fragment only, fitting into 'Isothere' somehow. The next song, 'Freedom', comes from the album 'Heiress' by Novo Amor and Ed Tullett. Ali Lacey, who is Novo Amor, sings with a high, soft voice. Tullett responds with a darker one in the background. The music is minimal, close to a none song, more atmosphere than melody. I truly liked Heiress as the duo creates something special, a mood that is not so much pleasant in it self, yet pleasant to roam around in. It opens a world of its own, where I can rest in, relax in with only one task: shut out the world and listen to all the small nuances, just like in 'Freedom'. Arvo Pärt recently visited pope Francis and quite rightly so. The man is writing church music for most of his life. Some recognition is his due. This composition has something to do with canons it seems: 'Prayer After The Kanon'. But which one? Women and men's voices intermingle with lots of echo behind them giving the impression of space. This is very far from my bed, yet it is not difficult to hear the beauty and sincerity in the composition that needs nothing but voices, rising and falling, swelling and ebbing. It seems to me it is an honour to sing in the Estonian Philharmonic Chamber Choir and undoubtedly sings a lot written by Estonia's most famous composer. There is, however, something like too much of a good thing and it is proven by this Kairos. ... are replaced by a piano. 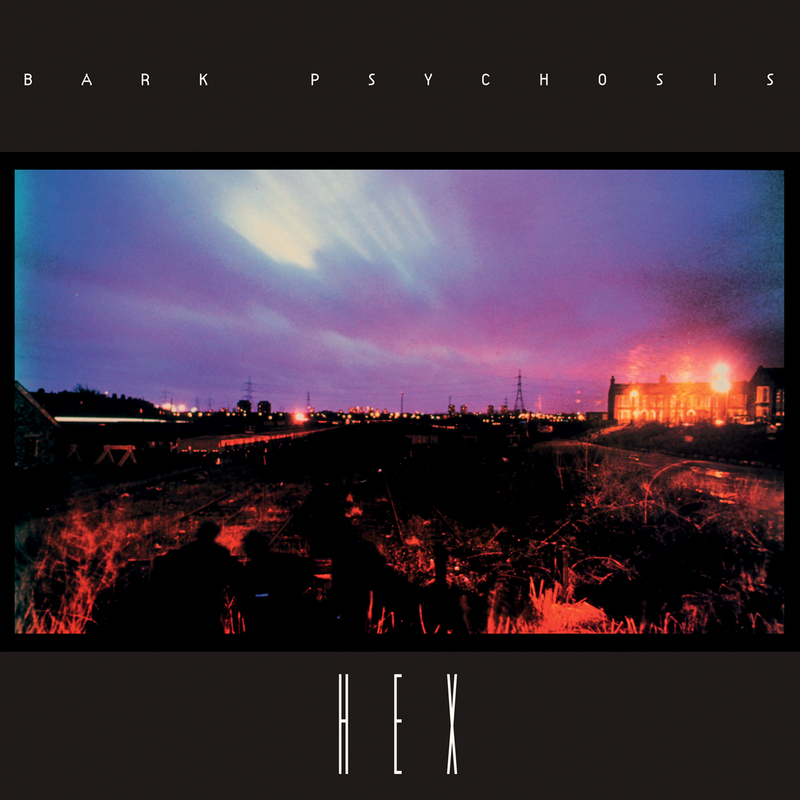 The Kairos listener is introduced to 'Hex' an album by Bark Psychosis that was re-released recently and reviewed on this blog. A song that has nothing to do with pop or rock music, until a drum enters and splits the mood in two. There's something of Genesis in 'The Loom' and of Simple Minds in the percussion. So a strange hybrid is assembled on this album from the early 90s. The mood is tense, like something very unexpected will happen. Something like a change to Brazilian carnival music. Of course this doesn't happen, it just seems like it could. It is that Ying & Yang characters that is the surprise though. Mixed into 'The Loom'. New age punk. Is there something like that in the world? If there is I have found it in 'Underground Storm'. 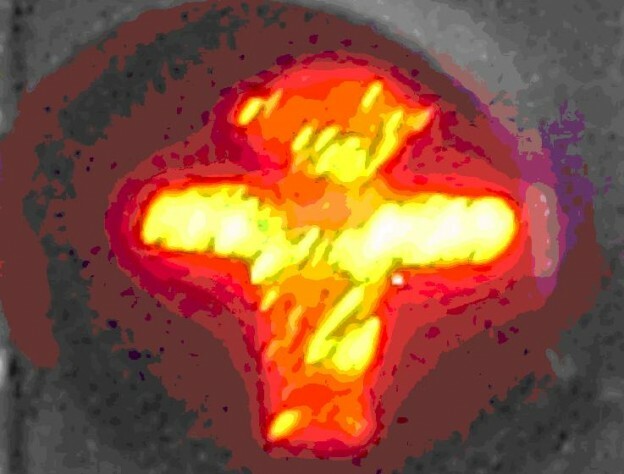 What to make of this weird experiment? This is musical madness. There's no other word for it. Man, am I glad it's over. Come to think of it, ying and yang? No there's no harmony to be found here, just highly disturbing things. No Kairos for me in sight with the Lis. Bark Psychosis returns with a 9 minute piece called 'Pendulum'. The two guitar notes, repeated, sound like a sped up pendulum, swinging and swinging. 'Pendulum' is moody, experimental. Slowly the pendulum is derailed by a second guitar. Time is altered into another dimension, accentuated by sweeping keyboard and guitar sounds. 'Pendulum' is the kind of song to disappear in. If you don't you'll never get to appreciate the deeper layers in the song. The small surprises and the obvious effects. This has nothing to do with classic rock but everything with expanding what exists already in search of something new, something different. Does Bark Psychosis succeed? Perhaps not totally but it tried hard, with some great effect. Ha, there's them birds again. Mixed into 'Pendulum' as if Bark Psychosis left the window of the studio open and likes it so much, they kept the bird's singing. House of cosy Cushions returns with a fragment of 'Black Cat Dance'. The shock is rather great. From the tranquillity of 'Hex' to the jazzy outing with strange noises. In this context it comes like something of a shock. Like a black cat crossed my trail, dancing. The former I do not care about particularly, the latter surely surprises. 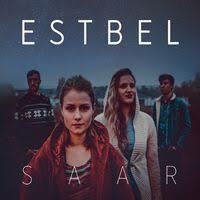 Folk returns to Kairos with Estbel. Accordions play together, one high, one low. A near cheerful jig is played. It isn't though. The mood is subdued, a song in a minor key. There's not that much to say about. It does everything that makes people dance in places like Ireland, except that it's just not happy. Confusing, isn't it? Just like 'Poti Kolm' is. The finest is kept for last. Nothing but, perhaps, the finest pop single of 2017. With its latest album 'Another Place' Maggie Brown is contending for first spot of best album of 2017 in my book. 'Hail To The Rain' is the flagship of that album. The tight rhythm guitar, the supporting organ, the soft voice. The Byrds like lead guitar notes that joins the melody, just before the heavenly chorus chimes in. All this returns with a firm drum behind it. When the counter melody joins in, I'm in pop heaven. Guitars, fine singing and a melody to die for. 'Hail To The Rain' was the first song I heard this spring from the album and just knew it would be fantastic. Unfortunately for you, the song is faded out, so you miss the heavenly "pa pa pa" part. I'm sure you can find it on Spotify or Maggie Brown's website. What are you waiting for? 00:13 Kate Glavey. Eoin. Burrows (Kate Glavey, John Haggis, Tommy Keating, Alec Brown Gerry Madden, John Kent, Colm Heylin). 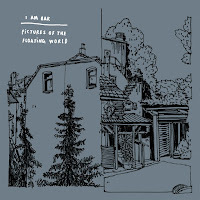 Album ‘In Winter’. Self-released. 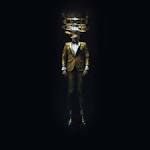 06:13 Jherek Bischoff. The sea’s son. 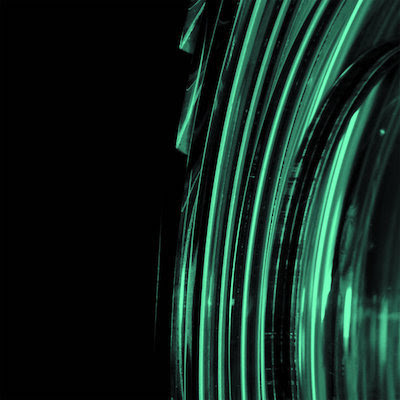 Album ‘Cistern’. LEAF. 12:58 Matthew Bourne. Isothere. Album ‘Isotach’. Leaf BAY 105CD. 18:34 Jherek Bischoff. The sea’s son (fragment). Album ‘Cistern’. LEAF. 18:51 Novo Amor (Ali Lacey) & Ed Tullett. Freehand. 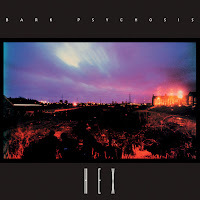 Album ‘Heiress’. To be released soon via All Points. 21;46 Arvo Pärt. ‘Prayer after the Canon’ from ‘Kanon Pokajanen’. Estonian Philharmonic Chamber Choir, dir. Tõnu Kaljuste. 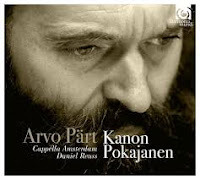 Album ‘Kanon Pokajanen’. ECM NEW SERIES 1654/55. 33:09 Bark Psychosis. The Loom. Album ‘HEX’. Circa ‎– CIRCD 29. 41:04 Bark Psychosis . Pendulum. Album ‘HEX’. Circa ‎– CIRCD 29. 50:42 Richard Bolhuis. Black bat dance (fragment). House of Cosy Cushions. Album ‘Spell’. 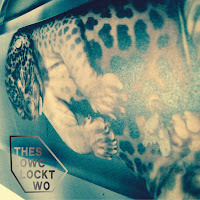 Outcast Cats CAT 0C002CD. 51:45 Hartwin Dhoore. Poti Kolm. Estbel (Sänni Noormets, Leanna Vapper – Dhoore, Ward Dhoore, Hartwin Dhoore). Album ‘Saar’. Nordic Notes NN092. 56:42 Maggie Brown. Hail To the rain. Album ‘Another Place’. Self-released. Whitney Rose maakte twee jaar geleden indruk met een debuut (Heartbreaker Of The Year) dat was geworteld in de countrymuziek uit de jaren 50, 60 en 70, maar dat ook aansluit bij de hedendaagse country uit Nashville. Heartbreaker Of The Year was lang niet zo succesvol als de platen van tijdgenoten als Lydia Loveless, Nikki Lane en Kacey Musgraves, maar dat Whitney Rose kon worden opgeschreven als belofte voor de toekomst was zeker. 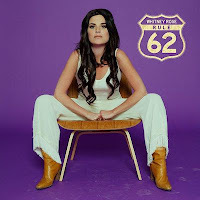 Whitney Rose verruilde na haar debuut het Canadese Toronto voor Austin in Texas en bracht aan het begin van het jaar al een prima EP (South Texas Suite) uit als eerbetoon aan haar nieuwe thuisbasis. Op haar tweede plaat Rule 62 laat Whitney Rose horen dat ze nog veel meer in huis heeft. Rule 62 citeert, net als zijn voorganger, nadrukkelijk uit de archieven van de country uit de jaren 50, 60 en 70 en de rock ’n roll uit de jaren 50 en eert misschien nog wel wat nadrukkelijker dan deze voorganger de klassiekers uit het verleden en de muziek die Whitney Rose in haar jeugd op het Canadese Prince Edward Island met de paplepel kreeg ingegoten. Rule 62 is geproduceerd door Raul Malo en Niko Bolas en zij hebben de tweede plaat van Whitney Rose voorzien van een tijdloos geluid vol invloeden uit het verleden. Het is een geluid dat wat minder blinkt en wat minder flirt met pop dan de producties uit Nashville, maar dat komt de kwaliteit van Rule 62 alleen maar ten goede. Whitney Rose voelt zich hoorbaar als een vis in het water in het tijdloze Americana geluid dat de muzikanten op haar plaat hebben neergelegd en zingt de sterren van de hemel. De Canadese singer-songwriter beschikt over een stem die gemaakt lijkt voor dit soort muziek en combineert op gloedvolle wijze heldere vocalen met emotie en natuurlijk de in de countrymuziek zo gewenste snik. De stem van Whitney Rose maakte op Heartbreaker Of The Year al indruk, maar heeft op haar tweede plaat aan kracht, emotie en diepte gewonnen. Ook in muzikaal opzicht is Rule 62 een interessantere plaat dan zijn voorganger met een geluid dat de sfeer van het diepe Zuiden van de Verenigde Staten ademt en opvalt door geweldig galmend en af en toe spetterend gitaarwerk, een vlammende accordeon en hier en daar een vleugje Southern soul, blues of rock ‘n roll. Het is genoeg om Rule 62 flink boven het debuut van Whitney Rose uit te laten stijgen, maar de tweede plaat van de Canadese singer-songwriter heeft nog meer sterke wapens. Whitney Rose is op haar tweede plaat niet alleen gegroeid als zangeres, maar heeft ook een serie solide songs geschreven, die niet onder doen door die van haar beste soort- en tijdgenoten. In de Verenigde Staten is de tweede plaat van Whitney Rose enthousiast ontvangen en dat begrijp ik volledig. In Nederland is het nog betrekkelijk stil rond de plaat, maar dat gaat absoluut veranderen, want de tijdloze Americana van Whitney Rose moet het ook hier goed kunnen doen. Zelf ben ik inmiddels volledig overtuigd van haar kwaliteiten en geniet ik steeds meer van deze gloedvolle rootsplaat. Of course the documentary has been released quite some time ago. This weekend it was on the telly and I decided to give it a view, despite the negative reviews the film received mostly over here. So let me write just a few words. The band came into my life with the first album at the time I heard 'Live Forever' for the first time. Immediately I went out to get the album. If Oasis had only released one song, the one opening 'Definitely Maybe', 'Rock And Roll Star', it would have made a lasting impression on the world. It's the kind of song that is not only great, it's a declaration of intent and victory march in one. It truly would have been enough. Just like the first song on their greatest heroes' first album, 'I Saw Here Standing There'. The kind of song that says it all. Many great songs followed, of course, but the period highlighted in Supersonic, was the period. Not one thing that followed could live up to the expectations created here. The Knebworth event Supersonic opened and closed with said it all. After that (and just before I found) things started to fall apart. Just like the 'Amy' movie I'm somewhat surprised how much tape there has been lying around, even from before the band broke. Having grown up in a family without camera's I'm used to having not much (and not placing much value on) film. The film shows brilliantly the reason why there's no more Oasis. The one brother is at heart an ego-centric attention seeker, the other is perpetually jealous of the attention his baby brother is getting. Whenever for a second a camera is directed at Liam, Noel darts into view trying to be cuter, wittier, whatever and forever loses. Having all the talent was not enough. He had to have more than that and that spelled out disaster for the band, leaving everything and everybody by the wayside. The fire consumed nearly everyone involved. Band members and entourage alike. One interesting fact remains though. Had it not been for Liam recognising his brother's talent for writing songs, no one would, most likely, ever have heard of either Gallagher. So who is indebted to whom, really? Another interesting fact. Despite the fierce competition with that other U.K. band at the time, unless I've missed it, the name is not mentioned once in the whole movie. A bit strange if the goal is to show the sign of the times. Fascinating boring stuff Supersonic is. And the legacy? If you're from the generation that grew up in the 90s, especially in the U.K., this will probably be your band forever. For me, it was a nice interlude before I moved on, forever thinking that The Beatles were better and hardly ever playing one song any more. Sometimes I even wonder what all the fuzz was about. There are two new albums out instead of one. Let's see if they are worthwhile reviewing over the coming weeks. Ha ha ha ha ha ha ha ha ha! Moet ik dit serieus nemen? Nee, natuurlijk niet. Mag ik dit heel lekker vinden. Ja, natuurlijk. Het is alsof de (klein)kinderen van Normaal de koppen bij elkaar hebben gestoken en goed geluisterd hebben naar de muziek van (groot)vader en wat tijdgenoten zoals Herman Brood en anderen en dat alles in een blender hebben gegooid. Schorum Uut De Skiettente kwam er aan de andere kant uit als smoothie uit. Heerlijk, sappig en vol van smaak. Rock and roll, classic rock is wat de klok slaat. De klok op rock met andere woorden. 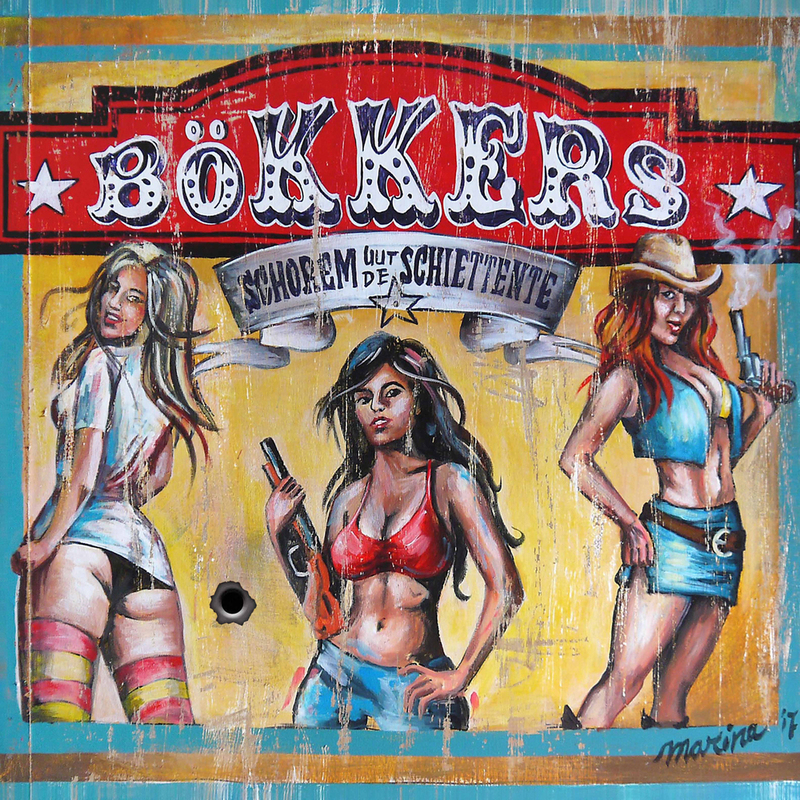 Bökkers is een stuk steviger dan Normaal. ZZ Top, Aerosmith en 'Bad Case Of Loving You' het zit er allemaal in. Samen met een vuige gitaar sound, een tinkelende piano of een vette Hammond sound, rockt de basis van drums, bas en ritme gitaar stevig door. Dat alles gezongen met een Achterhoeks accent en de tongval van Buizen Beerend. Enige research vertelt mij dat Bökkers uit Salland komt. Dat is de Achterhoek niet. Mijn westerse oren helpen hier niet. Dat er sprake is van een directe invloed lijkt mij wel duidelijk. Wat Bökkers voor elkaar krijgt, is dat er een feestje gebouwd wordt op plaat. Een feestje dat door JB Meijers in zekere banen wordt geleid en uitermate herkenbaar klinkt zonder voorspelbaar te worden. Dit fijne lijntje weet de band feilloos te snuiven, eh, bewandelen. De beuk gaat er in vanaf de eerste noot en wordt het hele album lang volgehouden. Ik probeer me een liveshow voor te stellen en zie eigenlijk alleen maar bierdouches voor mijn ogen, die klotsen uit de hoog gehouden glazen, terwijl alle lijven tegen elkaar aan staan te springen. Dit lijkt mij de enige juiste vertaling van het woord feest op plaat. Ik begon met de vraag of ik dit serieus moest nemen. Het mooie van Schorum Uut De Skiettente is dat de band zichzelf ook niet serieus neemt, maar daarna alles doet om perfect te klinken. Een perfecte groove neer te leggen om op te springen. Een beat om te voelen in alle vezels. Daarmee maakt het een vrij perfect album in dit genre, waar iedere fan van die grote Amerikaanse bands direct op aan zouden moeten slaan. Zaal Takens zal heel snel te klein zijn. 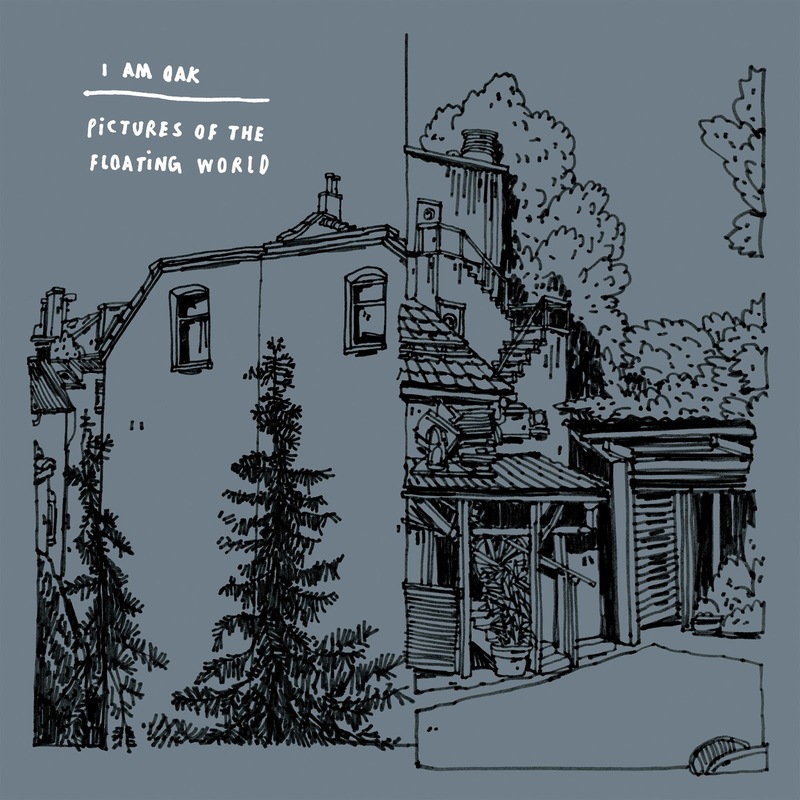 About a year ago I saw one of I Am Oak's lasts show in The Netherlands in the form of the touring band that played together for several years. Whatever Thijs Kuijken's plans for the future are, this fall he released a mini album with songs played live as a solo act. A show like this takes a rather small venue filled with an extremely dedicated audience in order to be a success for artist and audience. Listening to the recordings it seems that conditions were ideal. I Am Oak is an act of very modest proportions. In playing, singing and presentation. When too many people come to a show as friends latching on without knowing what to expect, it could upset the atmosphere seriously, inviting more people to start talking and from that moment onwards the magic will be gone. I found that magic moments were created by I Am Oak that evening in Brussels and they were welcomed as such by those in the audience. Now Pictures Of The Floating World. The title is a translation of a Japanese expression for print art that focuses on travelling and performing. The life of an artist like Thijs Kuijken. A fitting title to the small album. Small in many ways. I simply can not find a lot of words to describe Pictures Of The Floating World. Nothing happens. There is no intricate guitar playing. There are no big emotions, gestures nor explosions in the songs. While listening all I get Thijs Kijken's voice and his acoustic guitar. His voice ranges in the same segment the whole album, while he strums elementary chords. And despite all is brought down to the very basics of his songs, as he might have written them in his bed or living room, they come totally alive. It is so easy to imagine me sitting in the audience, totally enraptured by the music. In an audience that is silent. Where the only thing reminding me of being in this world is a trickle of water behind the bar to rinse the glasses in or the refrigerator switching on. The rest of my mind is wandering, far off, in the world created in these songs. There's only one way to listen to the eight songs on this album: in total seclusion. Just you and the album. With Kuijken's voice in front, his guitar serving him just behind his voice. A dutiful audience applauds in between. A "thank you" at the end closes it all. I Am Oak's new album totally succeeds in bringing the little moments of magic from a venue into my home. For 25 minutes I'm enthralled, silent, in awe. Everyone with the faintest interest in modern music will have noticed it in one way or another: after 31 years the last studio album of The Smiths got the royal industry treatment of a re-release full of extras. I am going to go off the deep end here. As far as I'm concerned The Smiths were nothing but a bunch of wankers with a few noticeable songs like 'Big Mouth Strikes Again' and 'Panic', songs that were very danceable in the 80s parties I attended. But on an album and after the second song I had to turn it off, as I simply started to have a mental allergic reaction to the voice of Morrissey and the guitar jangles of Johnny Marr. I never returned to any of the albums since the 80s. One thing though, the covers of the band's 45s were always strikingly beautiful. Of course I hardly have any, for obvious reasons. The, perhaps, strange, thing is that I started to appreciate Morrissey solo somewhere in the 00s with his album 'Ringleaders Of The Tormentors' and reviewed Johnny Marr's solo album 'The Messenger' favourably on this blog. So it's time to dive and listen to the, according to the critics, best album of The Smiths for the first time, perhaps ever even, as I had my fill from 'Hatful Of Hollows' and 'Meat Is Murder' by then. Here I go. In fact 31 years after the release the new encounter with The Queen Is Dead is not half bad. If we strip away the intro to the title song, on dreaming about an England Morrissey and his lads never lived in, 'The Queen Is Dead' is a very pointed and direct song. I would call it a perfect opening. The drums and bass are fierce. The guitars solid and full. The tingle-tangle piano (sound) plays a few nice accent notes. Morrissey is playing with a voice morphing device. The tempo prevents him from being his miserable self. Definitely a boon. Mind this is the first song. The outro is fantastic. It just keeps pounding onwards, with changing lead instruments marching into infinity it seems. 'Frankly, Mr. Shankley' is about the owner of Rough Trade, The Smith's record label. Lyrically it is of no consequence for decades. The reggae rock sound makes it sound obsolete as well. We're into the 21st century that is breathing down Morrissey's neck for nearly two decades, so all he wishes for in 1986 seems to have been reached in 2017. "Give us money", it came down to that when all was sung and done. Rather worldly actually. 'I Know It's Over' is a ballad. With a "lover, lover, lover" part that may have influenced Jeff Buckley's singing in 'Lover, You Should've Come Over', I notice. The song shows The Smiths can reach a maximum effect with a minimum of instruments. The melody is simply very alright. That the song slowly flashes out and rocking some more helps to get through the nearly 6 minutes the song lasts. Yes, it's too long! The first part is impressive though. The Smiths shine at a bare minimum. 'Never Had No One Ever' is one of those titles that make me fear the worst. Morrissey at his worst, whining away about how sorry we have to feel for him. Johnny Marr's dark sounding guitar lead lines provides the right contrast, as do the bass of Andy Rourke and drums of Mike Joyce. They all provide a deeper end to the sadness and a sense of relief for me as listener. 'Cemetry Gates' has that fast played acoustic guitar that most of my favourite songs by The Smiths have. I'm remembered of Albert Hammond songs of the 70s like 'I'm A Train'. If so, the most unexpected of influences on this band. That guitar continues straight into the only single of the album, 'Bigmouth Strikes Again'. The song with that mysterious lyrics about Joan of Arc. There I was dancing to the fast rhythm wondering what it could all mean. From the time that it was easy to sing along to most of the lyrics. That great break allowed for some extra dancing as well. Great song, then, now, for ever probably. Just like 'Panic', not on this album. 'The Boy With The Thorn In His Side' is these days seen as the most important title on this set. To me it's one of these lamentable Morrissey songs. So let's skip it fast. 'Vicar In A Tutu' is a surprise. A song I most likely never got to hear in the past. I never got this far into the album. It's upbeat, up tempo and a bit preposterous. It is a song like this that makes me understand a little of the claim that The Smiths were the most important British band since The Beatles. It is the sort of weird song The Beatles had on its records that was truly surprising, strange and sort of fun. The image of the vicar is extremely funny in itself. The country style feel of the song underscores the fact that it's not necessary to take it seriously. A side that I had never discovered to The Smiths before. 'There Is A Light That Never Goes Out' is a song that I used to hate. That typical whine, with Morrissey smooching his words all over the melody. I find myself discovering all these little details around the song, the additions to the three piece band, but also the firm bass that stands out prominently. 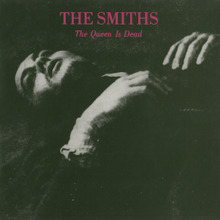 Again I notice how important the acoustic guitar is on The Queen Is Dead. Nothing but surprises. It all ends with 'Some Girls Are Bigger Than Others'. Just like their (grand)mothers, yes. And in very different ways too, I might add. The strange fade in, out and in, brings a tight songs with the typical The Smiths' guitar jingle jangle. It's a bit of a toss away at the end of the album, with rather uninspired lyrics. Somehow I find myself liking it too. Summing up, The Queen Is Dead surprised me and not a little, as you might have surmised from reading the above. There are sides to The Smiths I had never heard before. In fact, I discovered that the band may well have evolved into a truly good band and not remained the vehicle for the post-teen angst of Morrissey. Who without a doubt was posing to give himself front. One to be able to stand out and one to hide behind, trying to find out where he really stood in this life. Had the band managed to continue. The strangest thing of all? That I went into that stack of records I collected between the early seventies and circa 2000 and found three The Smiths records, including a second hand bought version of .... The Queen Is Dead. For the life of me, I can't remember buying it or ever having playing it. The not enjoying part, yes, definitely. Bob Dylan sang it around the year 2000: Things have changed. A hideous cover though, Alain Delon or not. The Slow Clock One passed me by, the second iteration of this project hasn't. Earlier in the year I reviewed Chinup's latest effort, 'Shine Bright Like A Diamond' (read here: http://wonomagazine.blogspot.nl/2017/05/shine-bright-like-diamond-chinup.html.) and received an invite to listen to this album as well. The Slow Clock is another project of singer/guitarist Harmen Kuiper and a totally different beast than his work with Chinup. Experimental, electronic beats and all. Don't be surprised however when Gruppo Sportivo comes by, in an ever so modern form. The Slow Clock is not afraid of throwing an odd ball here and there, setting its listeners on the wrong foot every once in a while. Despite the fact that this music is a few steps away from what I usually listen to, I find that the album has a keen ear for melodies. In the mostly (ultra) short song, 2.30 minutes is an exception, Kuiper works out a modest idea. It reminds me of the Philadelphia based duo Carol Cleveland Sings, despite the fact it develops its song more (read here: http://wonomagazine.blogspot.nl/2016/11/effervescent-lure-carol-cleveland-sings.html). The Slow Clock uses electronics in the same way and has that upbeat feeling hidden in its music. A seemingly surprising outlook on what it is singing about. Nowhere the comparison is stronger as in 'Attack And Defend'. And yes, early Zappa is in there as well, like Gruppo Sportivo, but hey, didn't that band cover 'Take Your Clothes Off When You Dance' in its intro to 'Superman'? Circles are round it seems. In a way it is a shame some of the songs on Two do not get a fuller life in hi fi versions. Several deserve it certainly. A small little pop song like 'Turning Up The Crank Handle' has a nice melody and a hook that catches me. It has a 60s feel without copying anything. It's not allowed to look a given horse in the mouth. Still it is a shame that the album does not have a clearer sound. It is truly lo-fi in sound like the music reaches me through a muffler. There's no sheen in sight on The Slow Clock Two. This is a shame, because it would have been even better with it. There is an eleventh "song" on the album. One that does last longer. 13.20 minutes to be exact. 'Don't You Wanna Join That Number' it is called. A Zappa title if I ever heard one. The answer is still no. Like I always skip the last two songs on 'Freak Out'. 'Don't You Wanna Join That Number' is a sound experiment. I have no taste for it, but if you do, be my guest and do join in. For me The Slow Clock Two ends with its 10th song 'The Lame Duck' that starts with the friendly words "You were redundant". No matter how unfriendly it sounds, it does give the sung to person the sound piece of advice to get rid of bad luck. 'The Lame Duck' is another of these hidden gems on the album. Harmen Kuiper is proving to be a songwriter that I intend to follow. Lo-fi or not, with The Slow Clock Two he has surprised me a second time in one year. I don't mind being surprised some more in the near future, whether by Chinup or The Slow Clock. Dat kunstje herhaalde de band van Stevie Scullion met het nog geen jaar geleden verschenen This Is Nowhere, dat werd geproduceerd door niemand minder dan de legendarische Steve Albini (Pixies, Nirvana, PJ Harvey, Low, Joanna Newsom, The Breeders). Stevie Scullion heeft over inspiratie kennelijk niet te klagen, want nog geen jaar na This Is Nowhere is er al weer een nieuwe plaat van Malojian verschenen. Let Your Weirdness Carry You Home werd door Stevie Scullion zelf geproduceerd en opgenomen in een vuurtoren aan de Noord-Ierse kust. De Noord-Ierse muzikant werd hierbij bijgestaan door muzikanten van enige naam en faam als sessiedrummer Joey Waronker, Teenage Fanclub Gerry Love en de van Yorkston, Thorne & Khan en Lamb bekende Jon Thorne, maar de meeste aandacht gaat ook dit keer uit naar Stevie Scullion, die er wederom in is geslaagd om een serie zwaar verslavende en volstrekt tijdloze popliedjes af te leveren. Het zijn net als op de vorige twee Malojian platen popliedjes vol invloeden uit de Britse folkrock en de Amerikaanse countryrock. Hier blijft het zeker niet bij, want ook Let Your Weirdness Carry You Home klinkt weer als een omgevallen platenkast en het is ook dit keer een platenkast die een uitstekende smaak etaleert. Malojian citeert flink uit de folkrock uit de jaren 70, maar laat ook dit keer flink wat invloeden van The Beatles horen, terwijl van recentere datum flarden Elliott Smith en Grant Lee Buffalo opduiken. Let Your Weirdness Carry You Home volgt hiermee deels hetzelfde recept als zijn voorgangers, maar klinkt toch ook weer anders. Stevie Scullion kiest op Let Your Weirdness Carry You Home vooral voor lome en dromerige songs, waarin invloeden uit de psychedelica prachtig samenvloeien met invloeden uit de traditionele Britse folk. Waar Malojian je op haar vorige twee platen nog wel eens ruw liet ontwaken met gruizige gitaaruithalen, kiest de band op Let Your Weirdness Carry You Home vooral voor beneveling. Het levert een fascinerende luistertrip op vol flarden uit het verleden. Ik krijg bijna wekelijks platen die zich op precies dezelfde paden begeven, maar waar de meeste van deze platen niet ontsnappen aan het etiket (overbodige) retro, zorgt Malojian ook dit keer voor heel veel luisterplezier. Let Your Weirdness Carry You Home is een plaat die je door alle bekende invloeden al jaren lijkt te kennen, maar het is ook een plaat die je steeds weer verrast doet opveren en ondertussen strooit met zonnestralen, wonderschone accenten van strijkers en blazers en andere zoete verleidingen. Na Southlands was ik bang dat Malojian te makkelijk zou vervallen in herhaling, maar This Is Nowhere voelde geen moment als een herhalingsoefening. Het geldt ook weer voor Let Your Weirdness Carry You Home, dat misschien nog wel iets beter verleidt dan zijn twee voorgangers. Grote kans dus dat Malojian voor de derde keer op rij de top van mijn jaarlijstje gaat halen, maar wordt het niet eens tijd voor erkenning in veel bredere kring? A band from Iceland and Luxembourg? It seems like a tax evasion case before I have heard one note. When 'Airy Met Fairy is a true band however and a name like that invites me to listen, even if it sends me negative images of disco, dance or worse. But then, from Iceland the strangest sorts of music comes to the world. So who knows what to expect really. So imagine a singer like a witch, a woman on helium in front of a band, that plays ever so soft and subtle. She has lived in both countries, studied in France, plays piano, decided to write in English and worked as an actress and tv anchor. When she met Mike Koster (bass, moog) and Thomas Copier (drums) they became When 'airy Met Fairy' and started working on a repertoire together in 2015. Honing their skills on stages around the world slowly but surely they worked towards Glow. Glow is the kind of album that takes you by the ear as soon as you give it a few minutes of your time. Agreed, Egilsdottir's voice can turn you off the album within seconds, but as soon as you let her in, you will be sold. With minimal effects the band creates its own world around seemingly uncomplicated tunes. Not unlike Joan Wasser on the debut album of her nom de plume Joan as Policewoman, 'Real Life', When 'Airy Met Fairy plays with essential emotions in a minimal setting. In nearly every song the right effect is created by adding a Moog or piano to the sound. eels bar the strong beats in a song like 'Susan's House' is another reference, leaving the piano only. It is a surprise when a full sound, everything is relative though, emerges on Glow. In 'Sanctify You' the sound swells to a storm of When 'Airy Met Fairy proportions. After which the album continues in this dreamy, minimal way. I find that Glow is extremely intriguing. With a minimal effect it is able to change a song completely and making for an impact that I did not see coming. Summing up, I find that Glow is not so much extremely good, but extremely well made, intriguing and captivating. So it's not 'Dark Side Of The Moon' or 'Abbey Road' to name two of my all time faves, but certainly up there with albums like 'Real Life' or 'Beautiful Freak'. An album to cherish with care, like I tend to do with something fragile and of beauty. The Lone Bellow is een band uit Brooklyn, New York, die in de Verenigde Staten de jaarlijstjes haalt, maar in Europa tot dusver helaas geen potten weet te breken. Ik begrijp daar eerlijk gezegd niet zoveel van, want de eerste twee platen van The Lone Bellow waren werkelijk geweldig. Op het titelloze debuut van de band uit 2013 liet de band Americana horen zoals die ook door bands als The Civil Wars en The Lumineers (dat helaas nog steeds wordt geassocieerd met één niemendalletje) wordt gemaakt, terwijl het door The National’s Aaron Dessner geproduceerde Then Came The Morning uit 2015 imponeerde met een voller, avontuurlijker, veelzijdiger en gloedvoller geluid en bovendien diepe indruk maakte met vocalen die de hele plaat garant stonden voor kippenvel. Walk Into A Storm is de derde plaat van de Amerikaanse band, die het hippe Brooklyn inmiddels heeft verruild voor de bakermat van de country, Nashville, Tennessee. In Nashville dook The Lone Bellow vervolgens de studio in met Dave Cobb, momenteel met afstand de meest gewilde producer binnen de Amerikaanse rootsmuziek. De verhuizing naar Nashville en de samenwerking met Dave Cobb hebben zeker hun sporen nagelaten in de muziek van The Lone Bellow. Walk Into The Storm schuurt, zeker vergeleken met Then Came The Morning, dichter tegen de traditionele countrymuziek aan, terwijl Dave Cobb heeft gezorgd voor een geluid vol invloeden uit de jaren 70. Het is een geluid dat mogelijkheden biedt voor The Lone Bellow. 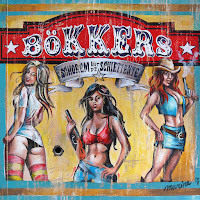 Zeker in de flirts met countryrock en aandacht voor de muzikale erfenis van Crosby, Stills, Nash & Young en The Eagles kan het muzikale vuurwerk worden ontstoken en dat doet The Lone Bellow dan ook met grote regelmaat op Walk Into A Storm. Voorman Zach Williams laat ook op de derde plaat van The Lone Bellow weer horen dat hij een groot zanger is en bovendien een zanger is die zijn ziel en zaligheid in zijn stem kan leggen. De band beschikt met Kanene Donehey Pipkin echter over nog een stem die iets met je doet en zeker wanneer de twee samen de registers open trekken imponeert The Lone Bellow net als op haar vorige platen met zang die door de ziel snijdt. Walk Into A Storm klinkt in muzikaal opzicht wat minder imponerend dan zijn voorgangers. Dave Cobb heeft de plaat zoals gezegd voorzien van een behoorlijk traditioneel klinkend geluid en heeft dit geluid ook nog eens volgestopt met strijkers. 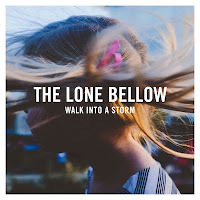 The Lone Bellow zet vergeleken met het zo bijzondere Then Came The Morning een stap terug wanneer het gaat om muzikaal avontuur en een eigen gezicht, maar in tegenstelling tot een groot deel van de Amerikaanse critici, vind ik ook Walk Into The Storm weer een geweldige plaat. In muzikaal opzicht is het misschien wat minder spannend, maar het traditionelere geluid vol invloeden uit Nashville past uitstekend bij The Lone Bellow. Zeker wanneer de instrumentatie in dienst staat van de vocalen, en dat is op het grootste deel van de plaat het geval, maken deze vocalen nog meer indruk dan in het verleden en zit ik toch weer op het puntje van de stoel. De tijdloze popsongs op de plaat prikkelen bovendien de stoffen in het lijf die zorgen voor geluk, waardoor de zon weer gaat schijnen. Walk Into A Storm is niet de logische stap die ik na de vorige plaat had verwacht, maar onderstreept wat mij betreft wel het enorme talent van deze band, die ook dit keer weer meerdere keren zorgt voor flink wat kippenvel, wat toch een bijzondere ervaring blijft. There is no period in Bob Dylan's career that was so venomously discussed as when Dylan went into religion as born-again Christian. The man was vilified, once again. For folk adepts it was anathema that Dylan plugged in in 1965, but he shocked his fans beyond believe when he made gospel(rock) albums in 1979-1980-1981. Nothing had prepared his listeners for this move. Not 'Street Legal' (1978) and 'Live At Budokan' (1979), that excellent double live album from his last tour until then. On the tour that started in September 1979 he started playing Christian songs exclusively and discarded his whole back catalogue. The shows were without exception negatively written about. Lo and behold, many of these shows were taped and here's the Bootleg Series Vol.13, from his born-again Christian shows. I am listening to the one disc sampler version on Spotify and am amazed, once again, by the strength of Dylan's hidden back catalogue. I can't remember when I played 'Slow Train Coming' for the last time. I only played 'Saved' for 50% or less after buying it second hand somewhere in the early 90s for completion sake. The third album, 'Shot Of Love', may have been played somewhat more recently. None of the three albums, like almost all albums in 80s that followed, made a lasting impression on me. Then and now. 'Biograph' and 'The Bootleg Series, vol. 1-3' had made it clear to me that the gospel years had rendered some fantastic songs. The period had indeed delivered some extremely inspired songs, including perfect renditions. And here I am, listening to a sampler with versions of songs recorded through the whole religious period. Remembering Ian Bell's book 'Time Out Of Mind', the second volume of his Dylan biography, a lot of the shows were uninspired or even saw an angry Dylan as his audience wasn't willing to follow him (again). Where ever the truth is found, usually somewhere in the middle, this sampler shows how strong Dylan and band were. The gospel choir singing with all they have got, pushing songs to great heights. One of the singers is Clydie King, who can be found on The Rolling Stones albums as well, is rumoured to have turned Dylan towards his born-againness. She and her colleagues are singing like they mean it alright. 100% Dedication and conviction can be heard in their voices. Dylan's voice is already on route to what we are hearing today. Not yet on his Never Ending Tour, he was already touring relentlessly in these days and it can be heard in the weariness in his voice. Not a single choir would have taken him on as a member. He is leading his band with all he has. But then listen to 'When He Returns - Take 2'. Just Dylan and a piano and there's nothing else needed. The strength of the song and the wording are more than enough. Dylan may be singing about the Lord, if I look through that, all I hear is a fantastic Bob Dylan song. The sampler shows that the whole box set must be a feast of live recordings, outtakes, alternative versions, etc. For the xth time it seems time to save up some money and emerge into the whole. Why is it that with Bob Dylan, whose new albums I've stopped buying, as I can't listen to his versions of songs from his youth (usually the same goes for the original versions as well), I need to have all this older stuff. Somehow, almost without a doubt, it proves better than the original versions and recordings. With every other band it is the other way around. The Beatles 'Anthology' is fun, but not more than that. With Dylan it is as if he releases the real version of songs, and his bests songs, only on his 'The Bootleg Series'. I've stopped thinking about the why and just receive the albums with a silent thank you to his Bobness. Even the one I thought to be able to skip without a thought, proves to be so strong it is almost shocking. So here goes prejudice. Never listen to people like me, writing on what they like or dislike and always make up your own mind first or at least, certainly afterwards. Perhaps with a little aid by posts like this. Never the title of an album rang more true than this one: Trouble No More. Happy listenings. Every one experiences a year that is defining for his taste(s) in music. For writer David Hepworth that was the year he came of age, 1971. There is one difference between the importance all others give to their respective years: Hepworth claims he is right about his year. According to him 1971 was the most important year in popular music. In 12 chapters, one for each month, he goes about proving he is right. As he admits, every one will have his year. Let me add that with the right amount of research and the ability to write well others may get a long way proving it as well. He does have a few fair points though. I bought 1971 on the same day as I bought John Savage's '1966' (read on here: http://wonomagazine.blogspot.nl/2016/12/1966-year-decade-exploded-jon-savage.html). Personally I tend more towards the latter book, than the former, but that aside. In his book Hepworth gives his readers a host of stories, facts and gossip about music and the music industry. Where music industry moguls lost all control in 1966, when things started happening that they could no longer control and certainly did not understand, in 1971 a new generation of music moguls started to take over and we on their way building their own empires. Whether new or on the building blocks of old, industry stepped back in and took control over musical careers as artists would soon start to find out. 1971. Never A Dull Moment takes its title from a 1972 Rod Steward LP from after his major breakthrough in 1971 with 'Every Picture Tells A Story'. The album that was the true starting point of a career that lasts right up until today. Hepworth shows more signs of the turns some artists made in that year that defined the rest of their career. The Rolling Stones and music publishing e.g.. Only in 2017 the tax evasions through Promotone B.V. in Amsterdam is getting serious negative publicity. The band became a business company with a CEO (Jagger) and a board of directors. The way in which singer-songwriters were held in high regard from 1971 onwards, shows how mature the rock market had become. The book holds many of these smaller and bigger stories. All with delightful details that one could only learn by reading up on each individual artist. Something Hepworth obviously has done before connecting the dots between them. Who slept with whom, who wrote for others -reminding us along the way that gossip magazines didn't exist in 1971-, who was influenced by whom at the exact right moment, who broke through to make a difference and who did not. From the likes of Slade, hitting the big time, to T. Rex and from the transformation of David Bowie to the failure of Big Star and the vision of Roxy Music in 1971, Hepworth touches upon them all, including explanations for longevity and instant, but short success. What he shows in an excellent way is how hard some of the acts worked to gain their success, where others were not able to go to that extremes or just were not good enough, like T.Rex's Marc Bolan or were to insecure like George Harrison. For me 1971 is not such an important musical year. 1968-1969 may have been the most defining as in that year I started to discover music for myself and in the mid-70s I discovered albums. Of course there are brilliant albums from 1971, but for several albums over which a lot of fuss is showered in this book, like 'What's Going On'; all the singer-songwriters of the time; T.Rex and Sly & The Family Stone to name some, goes that I'm still not hearing it 46 years after the facts. So the conclusion has to be that everyone has his or her own year of defining musical moments. For David Hepworth that is 1971. His book, 1971. Never A Dull Moment, is an extremely enjoyable read, with lots of details that make it worthwhile for most musiclovers of the time to take notice of and enjoy. Without giving anything away about his conclusions surrounding Elvis Presley shows in 1971, in that he is totally right, but then, the average human being is feeling safer and more secure with what he knows. He overlooks an important fact. New acts are discovered by the day and gain new fans. Hey, even at my age it tends to happen, regularly. David Crosby does a Steely Dan was my first thought when listening to 'She's Got To Be Somewhere'. The electric piano, the singing, the rhythm and jazzy atmosphere, everything spells Donald Fagen and Walter Becker. This is far from strange. David Crosby always has more jazz than pop in his songs. The reason why his music can turn me off just as easily as it can please me. The music reminds me also of what he did in the band CPR around the turn of the century. David Crosby turned 76 this summer. Decades older than some may have predicted decades ago. He seems on a mission as Sky Trails follows 'Lighthouse' within the year. (Read on here: http://wonomagazine.blogspot.nl/2016/12/lighthouse-david-crosby.html.) Crosby has something to say before he goes. Perhaps not being distracted by his old pals SN&Y accounts for his creativity as well. The burden of the quality rests totally on his own shoulders as well. David Crosby does not make music that I listen to often. When it comes down to it, ever since I heard 'Triad', his song that got him kicked out of The Byrds and was recorded by Jefferson Airplane instead, I sort of have heard it all. 'Triad' is the blueprint for his career. Sung beautifully by Grace Slick by the way. At the same time I find myself emerging in a song like 'Sell Me A Diamond'. The song is beautiful. Despite the fact that I can hear David Crosby coming up for air here and there, his voice does everything it needs to do, to cut this track perfectly. His son James Raymond produced the album and is musically all over the place. The P in CPR, Jeff Pevar, plays guitar. For the rest there's a long list of session musicians and David Crosby, to my great surprise, on drums, though not exclusively. So it is no surprise that the album sounds familiar. It could have been a CPR album too. I remember my surprise when I ran into a live show of CPR on TV by chance. If you love David Crosby, Sky Trails can do no wrong. The man is in great form. 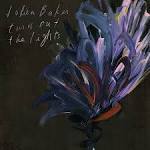 I find myself liking this album better than Lighthouse easily. There is more to discover here. The arrangements are of a subtle lushness. Take the flugelhorn(?) in 'Here It's Almost Sunset'. Flying over the bare guitar notes the instrument adds something near magical to the elementary song structure. His ageing voice shows in a song like 'Capitol'. At the same time he is still able to show his indignation and protest against things he thinks are not right. Politicians "filling up their pockets from here". Again a horn fills up the song, battling it out in a decent way with a jazzy electric guitar in the best Steely Dan tradition. The arrangement just did not take six years to refine -and yes, that shows too. Neil Young will forever be my favourite of the four individuals making up that great collective in 1969 and 1970. David Crosby beyond doubt is my #2. The other two just don't come close in my universe. The future is uncertain but if David Crosby releases a further record I have no doubt it will be one of substantial quality. Neil Young never seems to stop amazing me and perhaps the world in general. When I started buying Young's records in the second half of the 70s I noticed that songs could have been recorded a few years before the release. I always wondered why that was. A little of that mystery is explained with the release of Hitchhiker. The story is that Neil Young wanted to record demos of some new songs and so it happenrf that he went into his home studio with producer David Briggs and recorded 10 songs on the evening of 11 August 1976. The artist was so pleased with the result that he wanted to release the tracks as were. His label, Reprise Records at the time (and still), did not think it such a good idea. Demos are demos and not to be released. Hence the songs were shelved, only to be released in, mostly, new versions on albums like 'American Stars 'n' Bars' (1977), 'Comes A Time' (1978), 'Rust Never Sleeps' (1979) and 'Hawks And Doves' (1980). Thinking that Neil Young had toured as a solo artist with just his acoustic guitar, it is amazing to read that his record company did not trust him to release this set of strong songs. He had already proven his strength as a solo performer, as the rest of the world knows now from released live albums in the past years. Hitchhiker should have been an album in 1976 or 1977. So what was keeping them from releasing this body of work? Probably because they expected it could be bettered and some were. A release would have probably meant that the world would not have known the versions that came out of new sessions with other musicians. The extremely powerful 'Powderfinger' might have been lost or the countryfied 'The Old Countrywaltz', to name two. Hitchhiker shows me how a typical Neil Young demoing session went. Neil sits down, picks up his guitar (and harmonica) and just starts playing some new songs. Not just any bit of songs, but songs that have found their place in Neil Young's catalogue. Hitchhiker shows how good the man was in 1976. There is another side. None of these songs have become Neil Young classics, he still calls back on when playing shows. In other words, that may have been what the record company executives were missing on Hitchhiker, a "hit" in the Neil Young sense of the word. If so, in that they were right. There is no killer song in this collection. There's one exception. 'Powderfinger' became one, but, as far as I'm concerned, only in its new incarnation. Hitchhiker is released in 2017 as a piece of nostalgia, as so many other albums were in the past years. Aimed at people my age, wanting something new from the past. That doesn't mean the album shouldn't have been released. The album shows Neil Young in a great form, relaxed in his own home, recording his t(h)en new songs. For Neil Young fans Hitchhiker is certainly recommended listening. For all others, I'm not so sure.